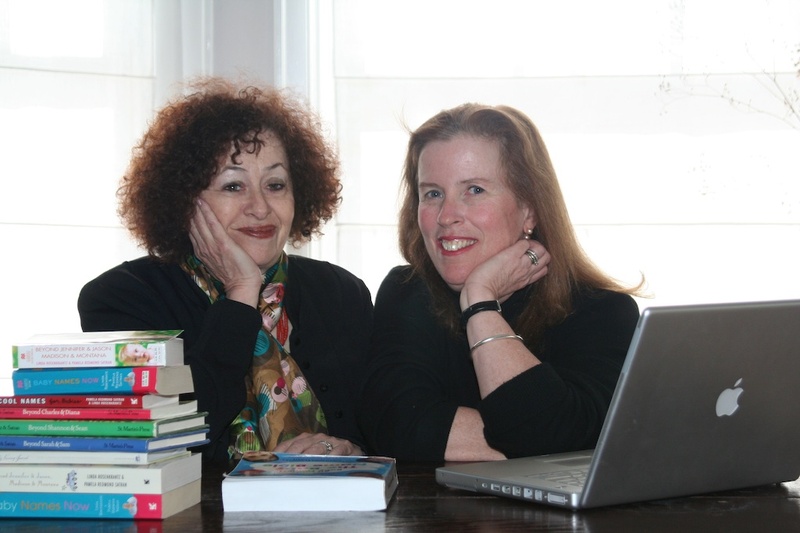 The baby name world changed forever when Pamela Redmond Satran and Linda Rosenkrantz penned their seminal work, Beyond Jennifer & Jason, back in the 1980s. Many more books were to follow, and along the way they educated a generation of parents on naming babies, and made it possible to admit to being interested in names – even obsessed with them. Now they have the Nameberry website, which provides a massive amount of information and opinion on names, creates a space for name nerds everywhere to meet up with other devotees, and inspires many a name blogger. Pam and Linda are the fairy godmothers of the baby name community, and you can link with them on Facebook and Twitter too. Linda has been kind enough to take some time from her busy schedule to be interviewed on names, writing Jennifer & Jason, creating Nameberry, and how their love of names changed all our lives. Linda Rosenkrantz aka Linda Ruth Rosenkrantz Finch. This is a story that I’ve told in a Nameberry blog. It’s about how I was give a name at birth, but never called by that name. I was so traumatised when I began kindergarten and was called by that unfamiliar name that my wise mother allowed me to pick a new one for myself at the age of 5 or 6. When did you first become interested in baby names? I would say names in general rather than just baby names have always been a passion of mine from a very early age – a shrink might say it dates back to that kindergarten experience. And being a compulsive list-maker, I was constantly making lists of names, including names for fictional characters, names of prospective husbands, and of course, future children. How did you and Pam meet? A mutual friend brought her over for dinner to where I was then living, in Greenwich Village [in New York City], and we hit it off immediately – bonding, in part, over our mutual love for and attitudes towards names. Strangely enough, that was one of the few times we lived in the same city – she later moved to England, then the Bay area [of San Francisco], and then New Jersey. I settled in Los Angeles. What made you decide to write Beyond Jennifer & Jason together, and how did the process of writing and publishing go? Pam had been frustrated at the fact that there were no good name books around when she was naming her first child, Rory, and I had the idea of writing an article about the subject for Glamour magazine where Pam was an editor. We both realized that this had the makings of a book that would be a perfect project for a collaboration. We wrote a very short outline of Beyond Jennifer & Jason and brought it to an agent, who thought it was so original – no one had ever looked at names this way, taking in their contemporary social context and categorising them – that he was sure he could sell it. It was bought by St. Martin’s Press, who published all ten of our name books, all edited by the excellent Hope Dellon. Over the years, we have gone from communicating via thermal faxes to the internet – I’d say we email an average of 25 times a day, plus phone confabs and New York meeting several times a year. Responsibilities have been divided along the lines of our various strengths. But when it comes to working on some large project, we might split the boys and girls, then switch and edit each others’ efforts. It’s been a remarkably congenial, long-term marriage. How did the success of your first book change your lives? Did you wake up one morning and discover you were now international baby name gurus? The first book changed my life in that it allowed me to quit my full-time job as an editor at “Glamour”, work at home as a writer full-time, and spend more time with my children – at that time, my oldest was only three years old. Although “Beyond Jennifer & Jason” was a big hit, we didn’t feel like international baby name gurus. Just writing books, you have so much less relationship with your readers, and it was difficult for us to tell how much influence our work really had. Our books were not published outside the US until the early 2000s, so we certainly didn’t feel like we were having an international impact overnight … or for a really long time. Yes, it was a gradual process – and, although our books were successful in the UK, it wasn’t until the internet hit that we expanded into international “gurus”. Cumulatively, it has changed my life completely – widening my world in all sorts of ways, providing immense gratification. And it’s also been VERY HARD WORK. When did you and Pam start the Nameberry website? We started off with a smaller site, based on our book The Baby Name Bible. (We were fortunate enough to retain the digital rights to all our books – which is a very unusual situation). Nameberry began in 2008; we were excited to expand the word to a larger audience. We had no idea at the time that such a huge community of name lovers would form around the forums and blogs – an incredible group of informed, helpful people – now reaching two million people a month! Do you have a favourite blog post that you have written for Nameberry? There’s been some new developments on the site recently – what else is in the pipeline? We are working on some new features, but we’re most excited about two new e-books – best girls’ names and best boys’ names. Pam and I did a slideshow of our faves on Nameberry, which includes several names I never tire of – Barnaby, Mirabella, Dinah, Duncan, and Araminta. Are there any names you love that don’t seem practical in real life? That area is definitely narrowing. Some of the multi-syllabic and exotic names that once seemed too heavy for a baby to carry now seem perfectly wearable – like Persephone, Peregrine, Zinnia, Amaryllis and Peridot. The baby-naming climate is so much more “anything goes” than it was when Pam and I started. Girls: Amelia, Lydia and Violet. Boys: Josiah, Julian and Lucas. Girls: Ivy, Maeve, Paloma and Arabella. Boys: Declan, Edison, Finnegan and Jedidiah. What are your favourite names that have never been in the US 1000? Chloe Samantha (the Samantha was for my father, Samuel, who had recently died). Did you and your husband agree easily on a baby name together? Since my husband is British, we had some varying perceptions of names, especially boys names – and in fact never did find a boy’s name we both really loved. But when we hit on Chloe, there was instant agreement. That I’ve written books on subjects ranging from Old Hollywood to collectibles to the history of telegrams to animation art to memoir to fiction. And Pam is a New York Times best-selling writer of fiction and humorous books.